Variations on the Mardi Gras theme. Another New Year event. A language few of us have ever heard of. An outdoor festival in February. These are some of the offerings this week that are free or almost free in Multicultural Toronto that anyone can join. Black History Month. Black History Then and Now. 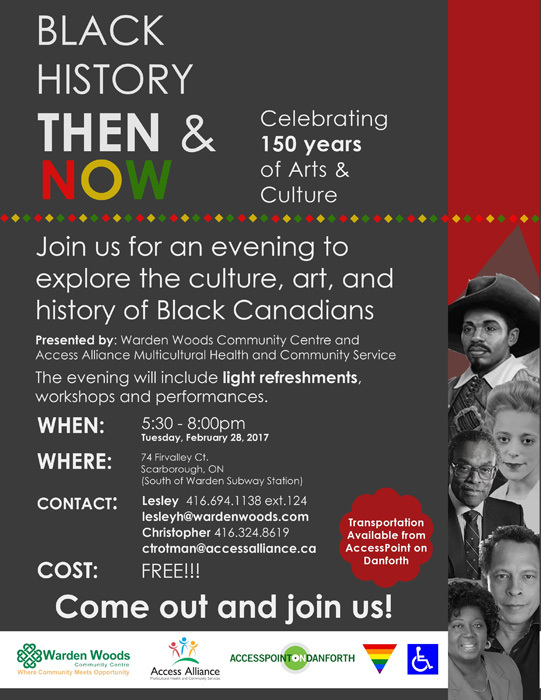 An evening to explore the culture, art and history of Black Canadians. February 28. 5:30-8pm. Free. 74 Firvalley Court, Scarborough. South of Warden subway station. First Nations. Truth and Reconciliation Lecture Series. Topic: “A Soulful Night of Word and Song”. Wednesday, February 22. 6pm Refreshments. 7pm. 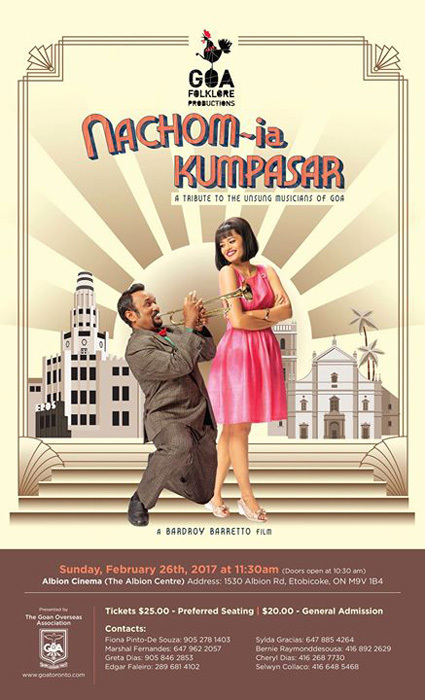 Public Show and Presentation, followed by Q&A. Presenter: Lacey Hill, “a leading Indigenous folk and blues singer-songwriter, who speaks widely on issues related to education and creative empowerment. Lacey Hill was born and raised on Six Nations of The Grand River Reserve in Southern Ontario. 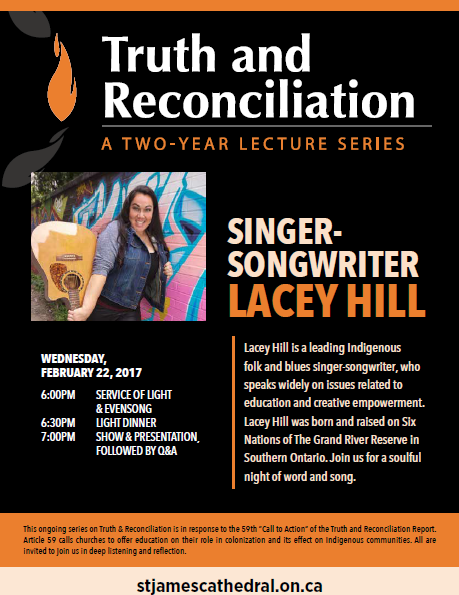 Join us for a soulful night of word and song.” https://stjamescathedral.ca/2017/01/19/truth-and-reconciliation-lecture-singer-songwriter-lacey-hill/. St. James Cathedral, 65 Church Street. Mardi Gras. Christian. Fat Tuesday or Shrove Tuesday. This is the day before Ash Wednesday, the beginning of the austerities of Lent. This Christian tradition extends from Ash Wednesday to Easter, March 1 to April 15 this year. For the faithful, Lent is 40 to 46 days of prayers, reflection and fasting. 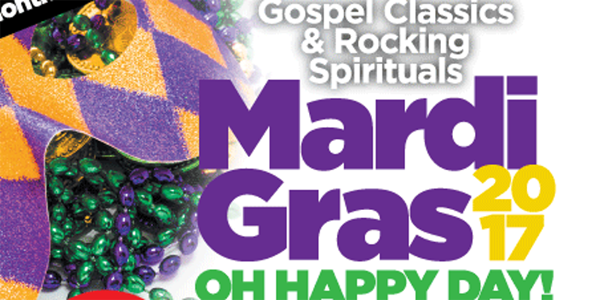 Mardi Gras is found in several cultures and can take a very religious or a very frivolous form called “Carnival”. Trinidad and Tobago’s Carnival partly inspired Toronto’s Caribbean Carnival which takes place here in July-August. Rio de Janiero’s Carnival started out as a meatless tradition. It’s also in February in warmer Brazil. Did you know that the word “carnival” comes from the Portuguese “Carne Vale”, which means “farewell to meat”? But Toronto’s weather makes street parades and events in elegant costumes difficult in winter. 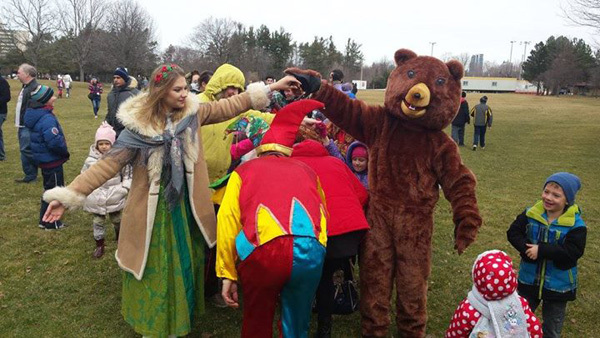 Bravely attempting to celebrate Mardi Gras out of doors each year is Russia’s Maslenitsa in Earl Bales Park (see below). Russia. Maslenitsa. “Russian Shrovetide. Eastern Slavic religious and folk holiday. Beginning of meatless fasting in some Orthodox churches. This is a family holiday, an opportunity to find new friends and meet old ones. Available will be Blinis (Russian pancakes), and a variety of fun family activities. The festival program and entry fee should be announced in the upcoming days. Sunday, February 26, at 12pm. Entry fee unknown. For maximum fun, take part in the dancing. It helps but is not necessary to understand Russian. Earl Bales Park, 4169 Bathurst at Sheppard. Videos of what could happen: https://ok.ru/video/230949913871. Multicultural. Comedy as a Second Language. February 24. 8pm. $15. The Social Capital Theatre, 154 Danforth Avenue, 2nd Floor. Broadview Subway Station. http://socap.ca/. 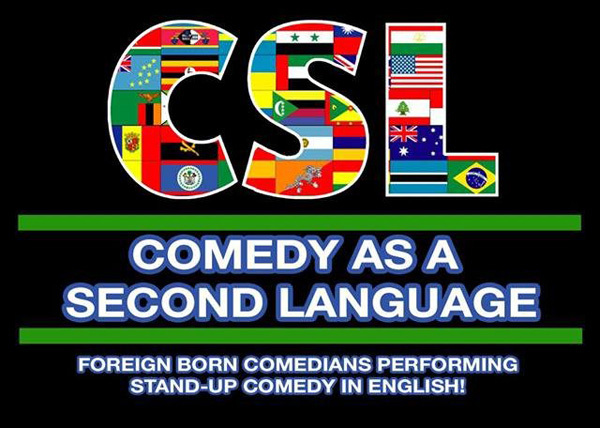 https://www.meetup.com/Comedy-as-a-Second-Language/events/237271463/. Do we all have the same funny bone? Tibet. Losar. Tibetan New Year 2144. Year of the Fire Bird. February 27. Celebrated with prayers, blessings, the hoisting of prayer flags, and donations to temples. 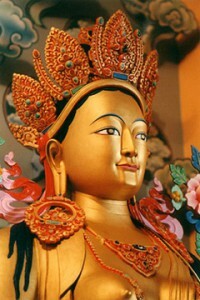 Among our several Tibetan Temples, a beautiful one to visit especially during Losar is the Riwoche Tibetan Buddhist Temple. February 27. 8am-9am. Prayers followed by tea. 28 Heintzman Street in the Junction. Tel. 416-766-7964. Just take your shoes off at the door and walk clockwise around the main room with its many beautiful statues. Follow what other people are doing. http://www.riwoche.com/calendar/cal-2017-Feb.pdf. I shot our featured image at a Maslenitsa party some years ago. I hope you noticed the caviar and sour cream! Please share your experiences in Multicultural Toronto with us. Send us posters of events that promote the beloved diversity of our city. Email us at: ruthlormalloy@hotmail.com. Ruth. February 23 P.S. Still haven’t found the price for the Russian Malenitsa at Earl Bales Park, but I did discover that it’s at Picnic area 2. See: https://en-ca.fievent.com/e/russian-maslenitsa/6413346.